The Central Bank of Egypt issued Egyptian Pound coins in 3 different denominations, including this 1 Egyptian Pound coin. They are part of the Egyptian Pound coins series. 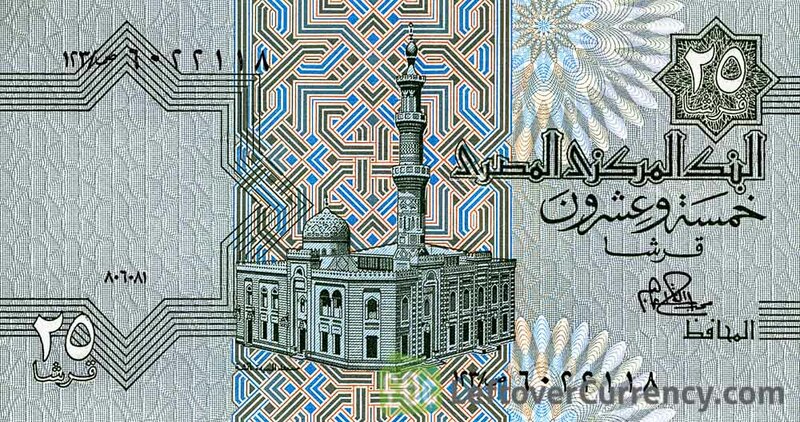 The Central Bank of Egypt started issuing these 1 Egyptian Pound coins in 2005. They are currently still in circulation. 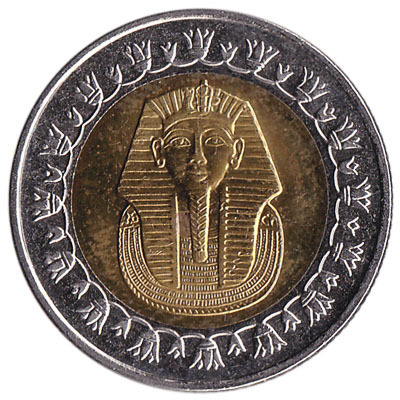 The Egyptian £1 coin features the mask of Pharaoh Tutankhamun. 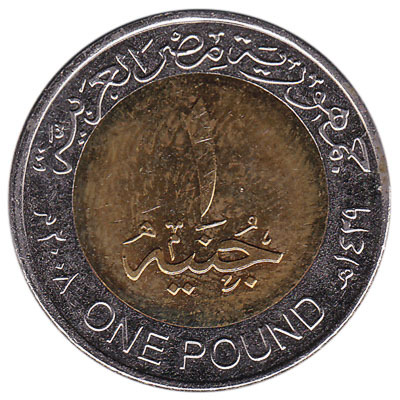 The text on the one pound coin is in Arabic and English. The bimetallic piece weighs 8.50 grams and measures 25.1mm accross. Repeat these steps for any other notes and coins you want to exchange. Complete checkout and get paid within 5 days of receiving your currencies. 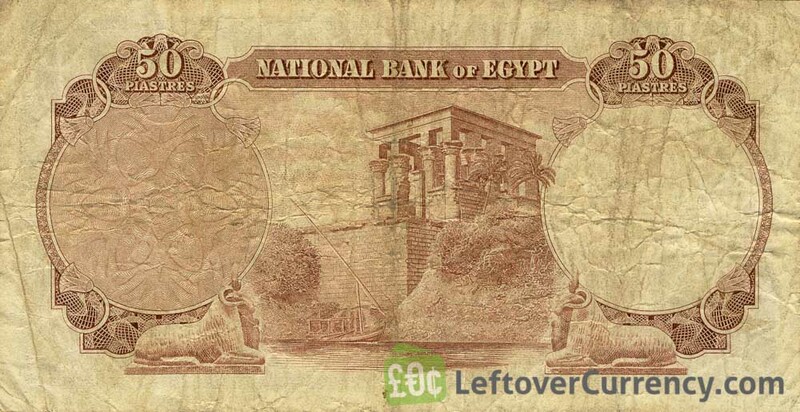 To exchange your 1 Egyptian Pound coin for cash: add it to your wallet now!